We live in a world where instructions abound on everything from a house remodel to a business transformation. With YouTube videos, online classes, and the impervious Google search, it’s tempting to take on these d0-it-yourself (DIY) projects – all with the goal of saving ourselves or our company a bit of money. The cost of downtime has been reported on recently in another blog post, but that is only one of many hazards you could face when undertaking a DIY transformation. Another tangible risk is buying software subscriptions for products you don’t have the skills to implement and maintain – leaving you in a state of having your precious dollars invested in shelfware. “Shelfware” uses up to 37 percent of your company’s software budget and some industries report losses of up to $18 billion. It’s no wonder that in a recent study, IDC predicts that 70% of siloed IT transformation initiatives will ultimately fail. According to a recent Forrester study, a large percentage of executives think that digital will influence almost half of their revenue by 2020. Key to the success will be speed of new technology Implementation and response time to resolve issues. That’s why SUSE has a team available to help you re-imagine your business – because you cannot afford to be cautious as you approach your digital transformation. Your competitors aren’t. From consulting workshops and engagements to 12-month, fixed-cost packages that include both consulting and dedicated support services, you can trust our team. We will proactively listen and provide realistic options to help you realize the outcomes that you need to be competitive in this digital world. How to Start Your Transformation? The mismatch between a software system’s capabilities to a company’s skill set is one of the largest causes of failure and biggest expenses in a transformation project. SUSE Select Services can help you bridge the gap between your in house team and the new skills required for the software you need, curbing your spending on shelfware. This 12-month, tiered offering also includes knowledge transfer and consulting so that your in-house team is confident with your software purchase. Select Services provides a number of benefits with the flexibility to choose the level of service that matches your business needs. All three tiers offer extraordinary value, built-in flexibility and ways to develop a true trusted relationship with a company dedicated to the success of your business. 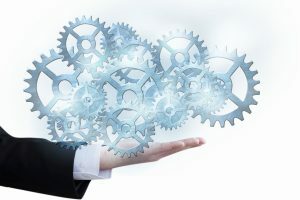 The white paper “Three Reasons Why You Need a Services Partner for IT Transformation” discusses some more pitfalls involved in attempting a “do it yourself” transformation. You can download it here.